Join us for “Knotworking”- our fun alternative for women to build sustainable professional connections and learn how to mix comfortably into a crowd. A bagels and beer-mosas meet-up with BUNKER and THE JILLS OF ALL TRADES™ to embrace the Future of Work. THE JILLS will be joining forces with the BRAVA Magazine gals at an all day Women's Empowerment Conference. THE JILLS will be leading a workshop called "Work Solo-Not Silo", geared for Independent Entrepreneurs. In the next 10 years, 50% of the US workforce will be working as an independent - consulting, creating, and collaborating with companies, colleagues, startups, and anchor businesses. Are you ready? More and more as we move deeper into the ‘gig’ economy, people will be operating their own businesses, working from spaces they chose, marketing their skills and talents, and hunting up their own work. It can seem like a daunting task, but in this presentation, Co-founders of THE JILLS OF ALL TRADES™, Megan Boswell and Corinne Neil, will offer up tips and tactics for ‘shoring up’ or ‘setting up’ as a solo-preneur while sharing the joys of working as an independent. Discover the importance of creating community and connections to build your business and learn ways to tap into both. Learn how to shape your personal brand and practice the skill of self-promotion. Start teaming up to scale up by discovering professional synergies at the conference and beyond. 53 million professionals in the U.S. already work for themselves as freelancers, consultants, independent contractors, and B2B entrepreneurs. Trends predict that in 10-15yrs, 80% of the workforce will be project-based. Are YOU ready? 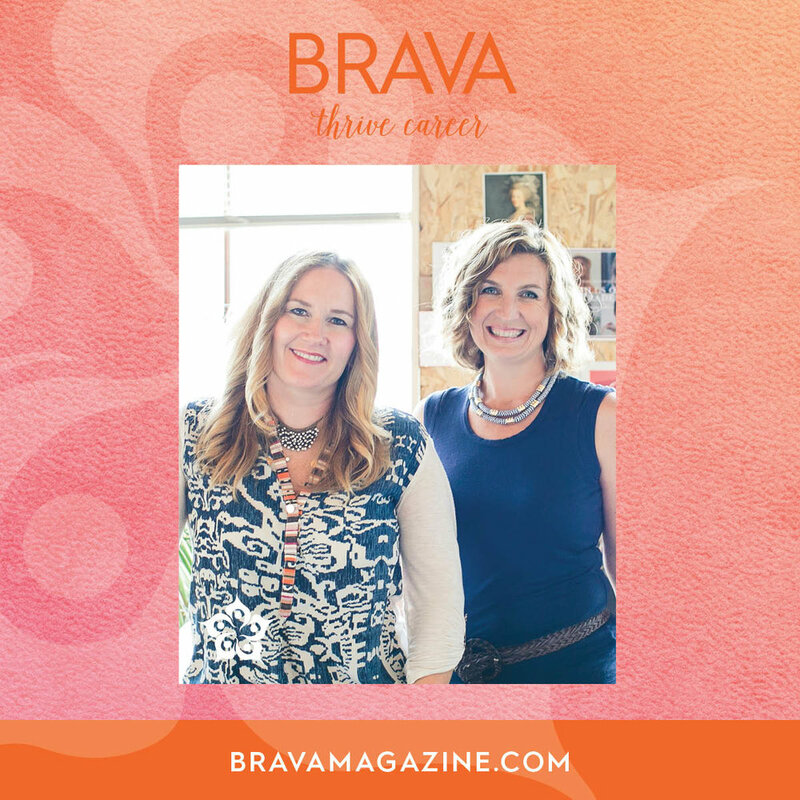 Join us for our workshop geared for Solo Professionals setting-up or sureing-up shop at the BRAVA Magazine Thrive Conference on April 28th, 3017. THE JILLS OF ALL TRADES™ is joining forces with fellow women entrepreneurs in Madison, WI to host a day of engagement, connecting with new women, and lifting each other up. It's what THE JILLS is founded on, and we are thrilled happy to help the cause and amplify our voices. Right up our alley! On the national level, the Women’s Entrepreneurship Day mission is to empower the 4 billion women across the globe to be catalysts of change and uplift the 250 million girls living in poverty globally. In addition to our mission of empowerment, we are committed to gathering a think tank of inspiring women leaders who can amplify our message of expanding businesses with socially good initiatives in communities around the world. On the local level, WEDWisconsin’s mission is to empower, celebrate, inspire and support women in business and leadership by igniting women leaders, innovators, and entrepreneurs to initiate startups, drive economic expansion and advance communities. The purpose of this WEDWisconsin is to help assist women in Wisconsin to grow their businesses by empowering and inspiring them to overcome the economic, knowledge and connection gap. Ninety percent of women-owned businesses employ only the owner and the rest struggle to employ between 3 and 5 employees. It’s a struggle to break this barrier. Part of the struggle is acquiring start-up capital, but there’s a resource and knowledge gap too. WED works to solve this problem by creating a network of resources and information to equip women to succeed. Part of a global movement, Women’s Entrepreneur Day Wisconsin will be held at Monona Terrace in Madison, WI on November 14, 2017 from 8:00 a.m. until 5:00 p.m.
CRAFTS + JILLS + FRIENDS + BAR... Whaaaaaat?! We can't think of a better combo. Join us at the hipster Revel Craft Bar in downtown Madison, owned by women entrepreneur, Sarah VanDyke, for a super fun outing. Choose from a menu of cool craft projects that you will design and personalize, all while chatting with friends you came with and new connections you'll meet there. Whether you think you like crafts or not, this is a chance to step out of your normal routine and get inspired and get out there! A fun and "crafty" way to build your community and get your creative on! All are welcome! This event is free to all JILL members. THE JILLS is chuffed to be invited to speak at the upcoming WOMEN IN TECH, meet-up. By building community and linking smart women together, the WOMEN IN TECH organization is right up our alley. WOMEN IN TECH is a group by and for women; our events cater to women and are a safe space for women; we ask that men not attend unless they are the guest of a woman attending. We are designers, entrepreneurs, lab technicians, programmers, project managers, recruiters, database analysts, QA professionals, robotics engineers and everything in-between. Join other Madison women interested in learning, teaching, and building a community of women in technology! Likewise, we are a child-friendly community; even when we're not set up for it specifically (which we try to do as often as possible), you're surrounded by fellow women who understand the pressures you face as a professional mother, and would never discourage you from bringing your children to one of our events. Maybe they'll grow up to become women in tech themselves! 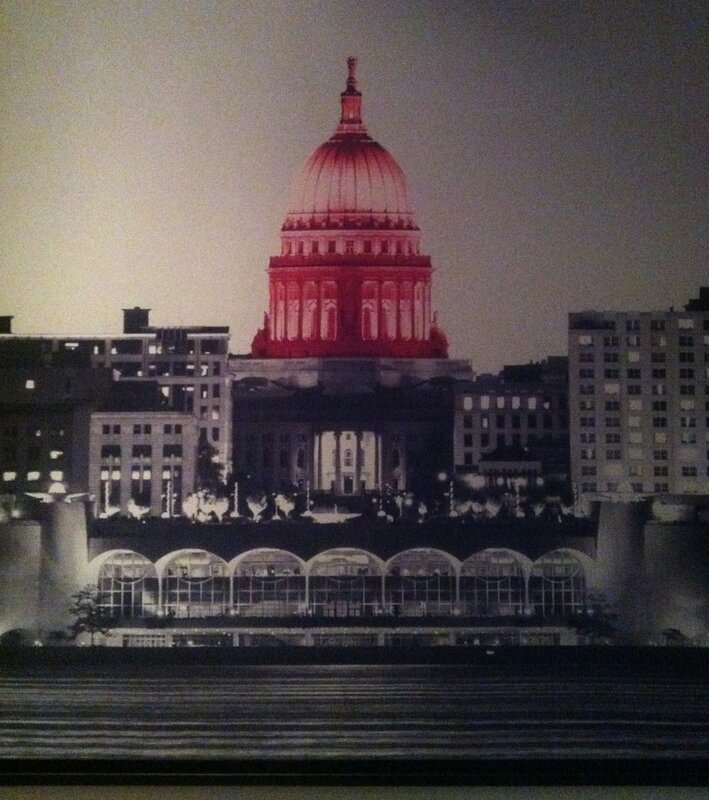 Follow us on Twitter at @Madison_WiT and sign up for our weekly newsletter via http://subscribe.madisonwomen.tech. We always say the best way to stay energized as a solo professional is to get outside, connect with your community and surround yourself with inspiration. Well, this JILLS event hits the trifecta. Join us for a rare chance to be part of a private guided tour of Madison's amazing Overture Center of the Arts, where you will get a private peek under the tent and learn about the incredible design and technical capabilities that go into a musical or theatrical performance of any magnitude. An exciting opportunity to connect and stay inspired! All are welcome to attend this event. This event is free to all Jill Members and available to non-members for $10.00. This event will be part of FORWARD FEST . THE JILLS is honored to be asked by to deliver a hand-on Personal Branding workshop for a new cohort of Environmental Conservationist graduate students at the Nelson Institute for Environmental Studies. The students are introducing technology and forging ahead with new innovation to protect our ecosystems and wildlife that is truly changing our world for the better. We are thrilled to be championing this talented and passionate group and are excited to help shape and spotlight their best skills and talents. Featured from left to right: Gail Ambrosius, Joye Ebert Kuehn, Carly Wilke, Damon Schopen, Megan Martin, Candace Wagener, Megan Boswell, Alison Ban. We had a blast presenting at 1 Million Cups ! What a welcoming & wonderful entrepreneur community. This forum is supported by the Kauffman Foundation and is a fabulous way to share and shape a start-up. Read our blog post on this event here. Learn more about why we created our company, and what's happening in the future of work. Check out our video presentation. Read more about this presentation in the CapTimes Article, "Startup looks to women 'solo-preneurs in spotlight". THE JILLS was proud to facilitate a panel event sponsored by THE CAPITAL TIMES at 100STATE to develop solutions to drive more women leaders into business to thrive & to probe at the critical issues holding back women entrepreneurs. Shown above are THE JILLS OF ALL TRADES™ cofounders Corinne Neil; Megan A.C. Boswell, and Madison-based solopreneur, Kirsten Johnson. Megan Boswell, cofounder of THE JILLS OF ALL TRADES™ had the pleasure to be invited to participate on a professional panel discussing trends and attributes of the GIG ECONOMY. Along with Matt Nelson of Grow Madison, and Mark Richardson, from Gig Blender. the 3 "M"s generated lively conversation around the critical topic influencing the landscape of the future of work. The three "M"s: , and Megan Boswell, cofounder of THE JILLS OF ALL TRADES™. THE JILLS IS A PROUD SUPPORTER of WARF's Upstart program. We stood strongly to link with many fellow Madison area organizations to share our available community resources which lift new start-ups off the ground. The Upstart Program is funded by WARF, through the University of Wisconsin and champions inclusive entrepreneurship. Jump into community, conversation & educational content held on the 1st Wednesday of every month at 100State. JILLS jumping into the February Spark! "Investing in You- leveraging your assets to build a personal & professional brand". tailored to the Investment Banking industry with a focus on creating a compelling purpose, mission, vision and creative identity. 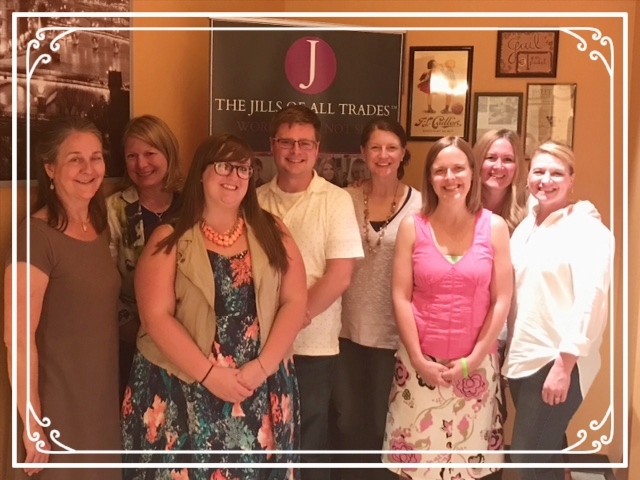 JILLS OF ALL TRADES ™ "Head-Shot Happy Hour"
Join us to learn how to carve out & spotlight your unique: What, Why, How & WOW. This is especially critical for Solo Professionals! 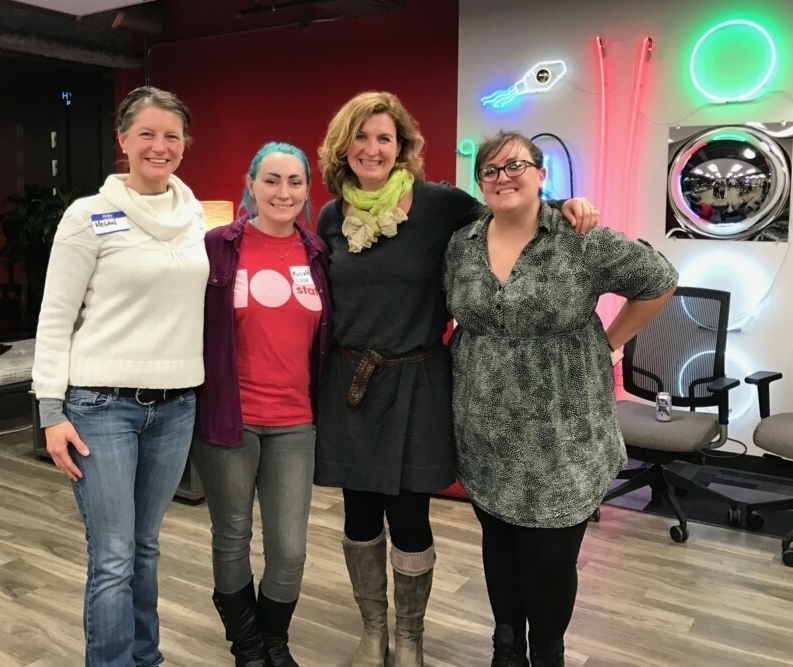 Ellevate Network Board Members (far left), and Meg Prestigiacomo (far right) joining THE JILLS OF ALL TRADES™ cofounders Corinne Neil and Megan A.C. Boswell. Let Ellevate and THE JILLS OF ALL TRADES™ lead you in a discovery process developed to help shape the brand of YOU! With an emphasis on celebrating your authentic self, this workshop will help you to carve out your unique message while you learn to best showcase your professional style, skills, and strengths so you can reach the career, collaborations, community, and connections you want. ● Why personal branding is powerful personally and professionally. ● How to create a personal branding strategy to help you carve your niche. ● What you need to do to establish your professional purpose and write your brand statement. You’ll leave this event with a practical and easy to use toolkit to help you continually develop and shape the brand of you. Megan and Corinne have a combined 45 years of experience working both in corporate environments and as successful independent consultants. Together, Megan and Corinne are a dynamic duo committed to supporting, promoting, and connecting both women entrepreneurs and intrapreneurs alike through workshops, presentations, and their cofounded company. The OCTOBER 5th meeting will be held at there new Field Table Restaurant & Bar on Mifflin off the Square. THE JILLS are Key Note speakers within the "Spotlight in Science" lecture series at the Medical college of Wisconsin. THE JILLS Seminar will be focused on Personal Branding and Entrepreneurship, tailored toward S.T.E.M Post Doctorates. Presentation given to the BIONET community of STEM businesses, focused on the new emerging and exploding sharing economy, and how that is driving the dependency on collaboration over competition our work practices.